Off-grid power systems are usually installed in locations that have no access to a larger public power network. These types of systems are also referred to as "remote area power systems" (RAPS) or "stand-alone power systems" (SAPS) and most often consist of solar panels or wind turbines or a combination of both. 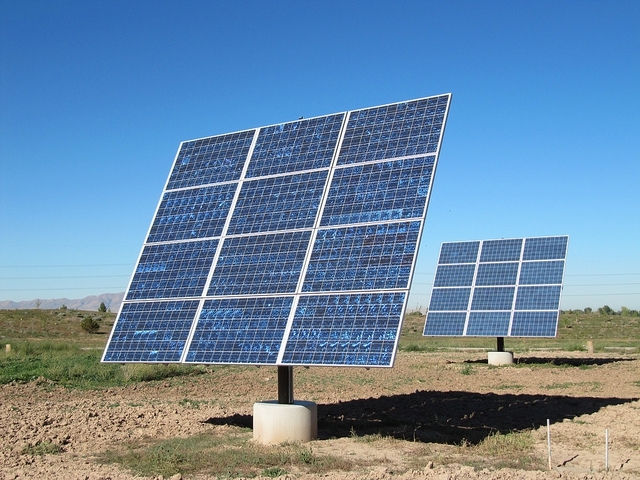 Off-grid solar power systems are capable of delivering a reliable supply of electricity for use in many applications including home appliances or larger more industrialised use such as some farm machinery. 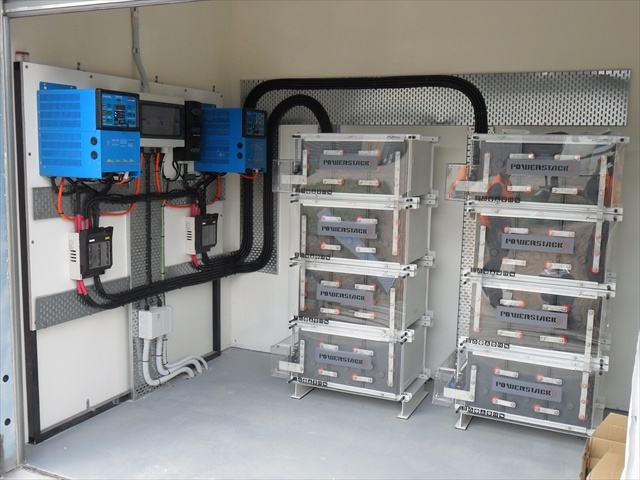 The power produced by the solar panels or wind turbines can directly supply required electrical load or can be stored in a bank of batteries via an inverter charger controller. During the night time, the inverter will provide power from the batteries until the next day when solar or wind generation can begin again. 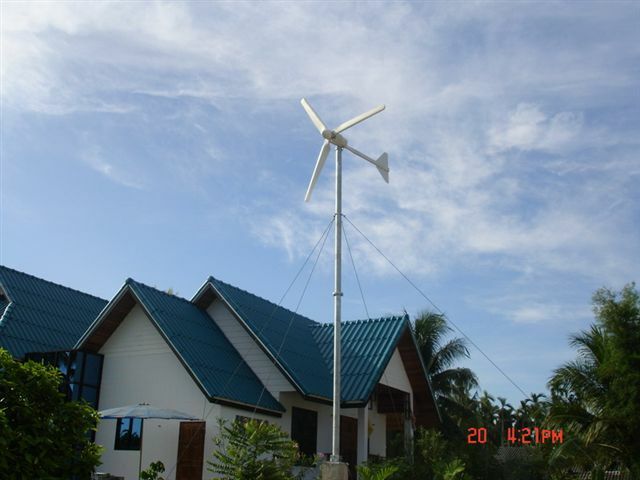 The generating unit - solar panels or wind turbines. 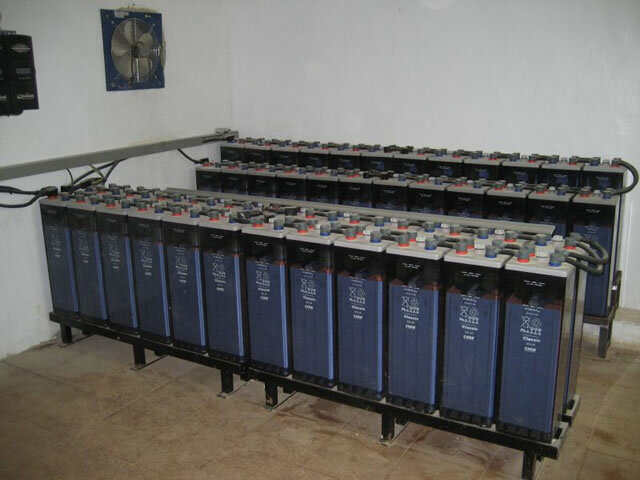 The main type of batteries used in most off-grid solar power systems is of the deep-cycle type. Unlike a typical car starter battery, they are designed to discharge much more stored power and to a greater depth of discharge and can perform for much longer periods. 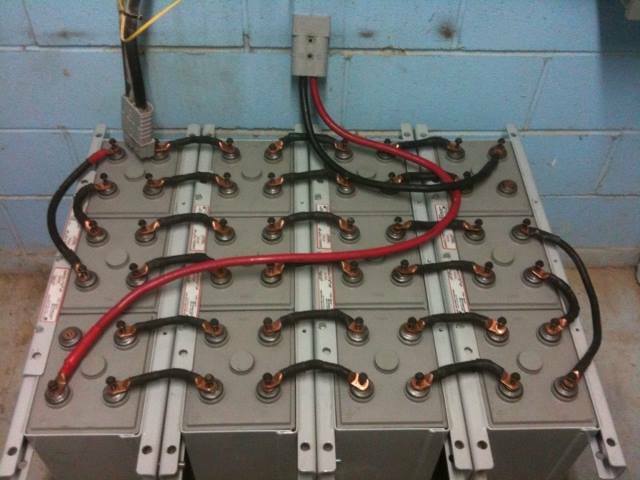 Most deep-cycle batteries are of the AGD (Absorbed Glass Mat), Gel and Flooded type. Deep-cycle batteries are designed to discharge between 45% and 75% of their capacity, depending on the manufacturer and the construction of the battery. It is possible to discharge down to 20% or lower however the lower the discharge, the shorter the overall lifespan of the battery will be. In most cases, to optimise battery life, it is recommended to discharge to 45%. 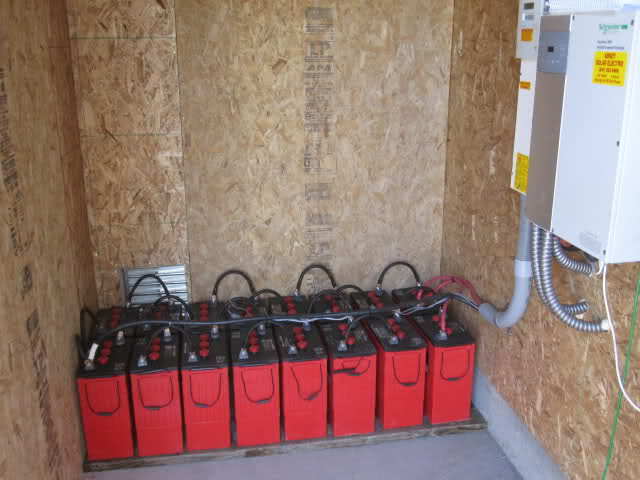 The images below show a typical deep-cycle battery bank set up used in off-grid or remote power systems. A solar regulator or charge controller is a device that controls the amount and rate of charge that goes into a deep cycle battery. These devices are often used in off-grid or remote area power systems powered by wind turbines or solar panels and serve to prevent the battery from becoming overcharged. The solar regulator is a small box containing solid state circuitry and electronics that is placed between the solar panel and the battery. Usable power can be drawn directly from the regulator bypassing the battery while still allowing for the batteries to gain some charge. Regulators need to be matched to the amp ratings of the solar panels installed. Modern hi-tech solar regulators should give years of reliable trouble free service with no maintenance required.